Professor Hutmacher is the Chair in Regenerative Medicine and leads a dynamic multidisciplinary research group. His research interests include biomaterials, biofabrication, biomechanics, medical devices, cancer and tissue engineering. Research in this area is conducted by the bone and joint disorders program, a multi-disciplinary group internationally recognised for the application of biomedical engineering techniques to provide new technologies, materials, procedures and medical devices. The Institute of Health and Biomedical Innovation (IHBI) has world-class facilities for cell culture, biofabrication, mechanical testing, molecular biology, imaging, and histology. Located at The Prince Charles Hospital, the Medical Engineering Research Facility (MERF) is a world-class training, education and research facility with the advanced surgical skills laboratory (ASSL) and biological research facility (BRF). MERF has small and large animal facilities to allow for sophisticated in vivo models of new devices and techniques. Part of the Institute for Future Enviroments, the Central Analytical Research Facility (CARF) has state-of-the-art infrastructure for material analysis (e.g. electron microscopes, atomic force microscopes) and systems biology (mass spectrometers, next generation sequencers). The Science and Engineering Faculty has a large rapid prototyping facility, machine shop, six axis spine testing robot, a nuclear magnetic resonance (NMR) facility, and a suite of mechanical testing instruments. The Translational Research Institute (TRI) is a unique, Australian-first initiative of 'bench to bedside' medical research. TRI combines clinical and translational research to advance progress from laboratory discovery to application in the community. 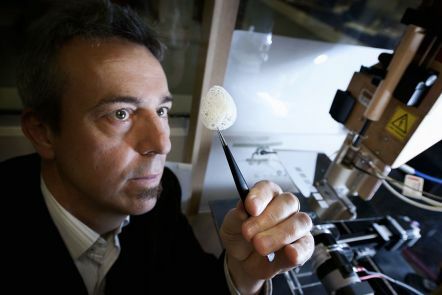 Launched in 2017, the Herston Biofabrication Institute will advance knowledge and technology in 3D scanning, modelling and printing of bone, cartilage and other human tissue to repair tissue that is lost or damaged. The Australia-China Centre for Tissue Engineering and Regenerative Medicine (ACCTERM) brings together new and longstanding collaborations between QUT and seven prestigious institutes and universities in China. It aids in creating a highly visible hub for research collaboration and the attraction of competitive research funding in this field. The FP7 (European Commission 7th Framework Programme for Research and Technological Development) HydroZONES project represents an interdisciplinary consortium (15 European partners and QUT) that adopts a strategy to regenerate articular cartilage based on biofunctional hydrogel-based implants that mimic the tissues zonal structure and function. The ARC Industrial Transformation Training Centre in Additive Biomanufacturing brings together an outstanding team of high profile researchers and industry partners from Australia and around the world to help transform the industry of 3D printing for medical applications. Strong links have been established with medical researchers and clinical specialists at hospitals, including the Prince Charles Hospital, Princess Alexandra Hospital and Mater Children's Hospital, as well as with industry end-users, ensuring that the outcomes of our research and development address current and future clinical needs.